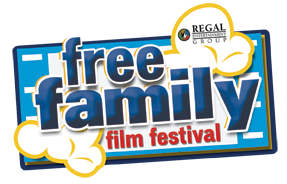 I've heard about the free movie program at Regal Cinemas, but I can never take my kids since I work Full Time. But, for you SAHM and WAHM moms out there, this is a great resource to have fun while staying within your budget! Every Tuesday and Wednesday this summer starting at 10:00am you will be able to view a G or PG rated movie for FREE! Be sure to get there early though! Tickets are on a first come, first serve basis! Click here for more details and locations in your area! Thanks to the Penny Pinching Diva for Reminding me about this! Oh, and while you're at the Regal Cinemas site, enter to win 10 Free Movie Admissions and a $100 Regal Entertainment Gift Card! That is a great deal. Almost as good as getting a couple movies from the library and watching them at home.